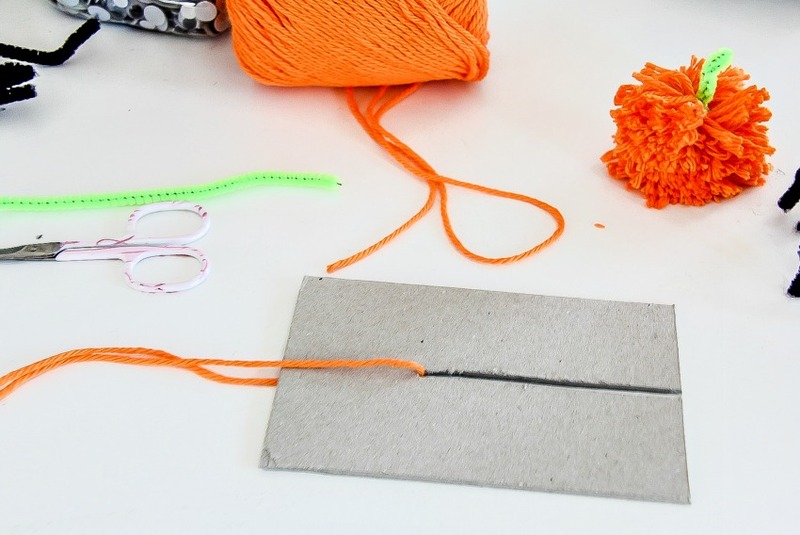 Looking for an easy craft project to make with the kids? 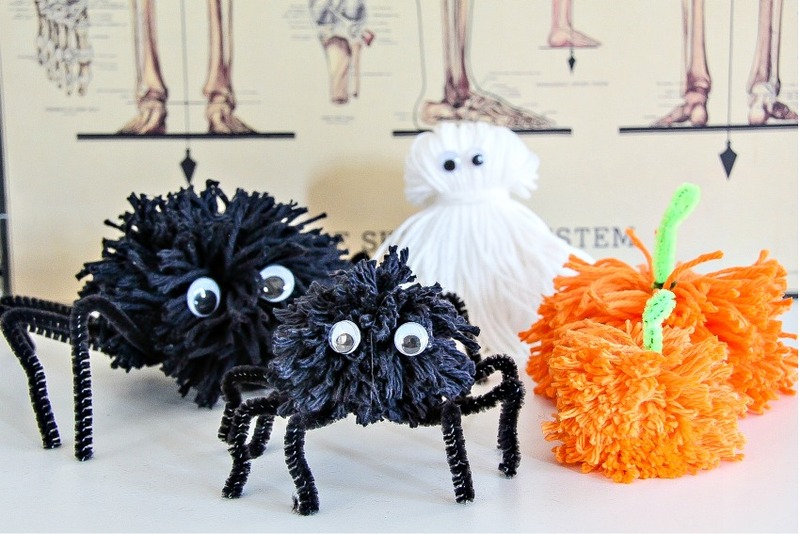 We made these fun Halloween pom pom creatures using two different easy-to-follow methods. It’s almost Halloween, and time to start thinking about homemade costumes, decorating the home for trick-or-treaters and making all kinds of fun Halloween-themed crafts and food for Halloween parties. 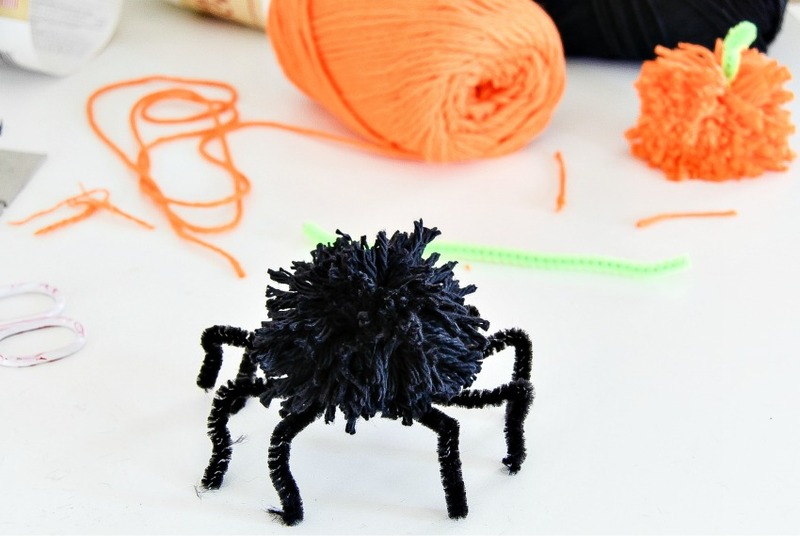 These Halloween pom pom creatures are easy to make, with older children able to do it on their own, but younger ones needing supervision with using scissors and hot glue. 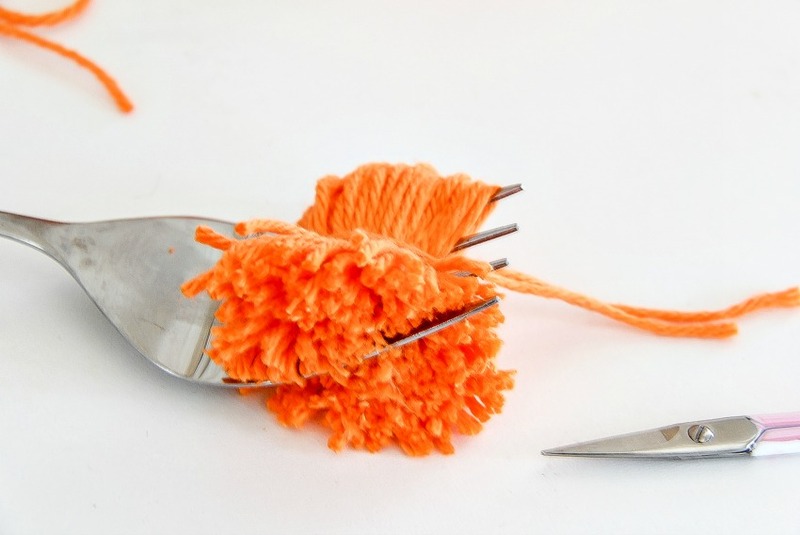 And, the best part, you don’t need a fancy pom pom tool, you can make them with items you already have on hand at home. Note: I used a larger serving fork to make these if you use a standard dinner fork the pom poms will be much smaller. 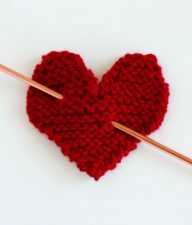 Cut a length of yarn approximately 5-6 inches long. Lay it over the fork like I’ve done in the image below. 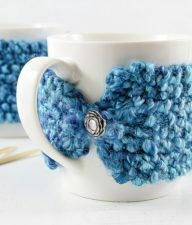 This will make it easier to tie the yarn together to form the pom pom at the end. 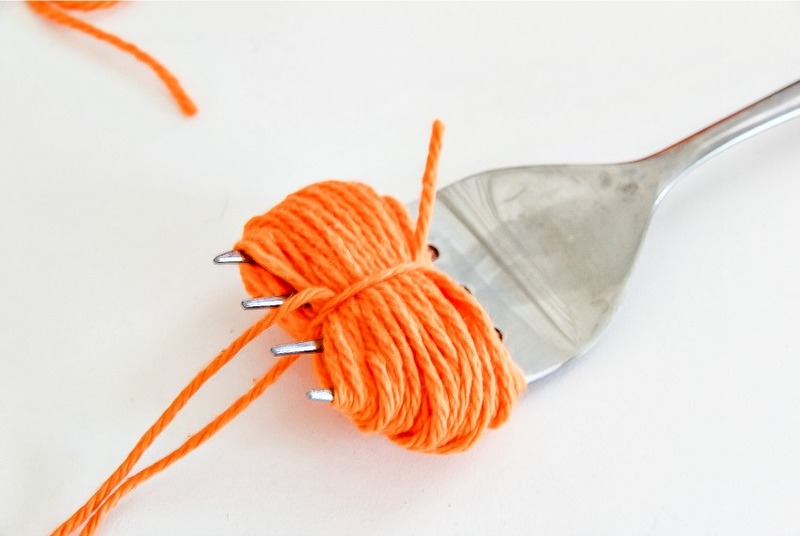 Begin winding yarn around the fork, remember the more you wind around the thicker your pom pom will be, but also if you wind too much it may be difficult to pull it tight when you tie the center together. When you’ve wound enough yarn around, tie it all together across the center using the piece of yarn you started with. 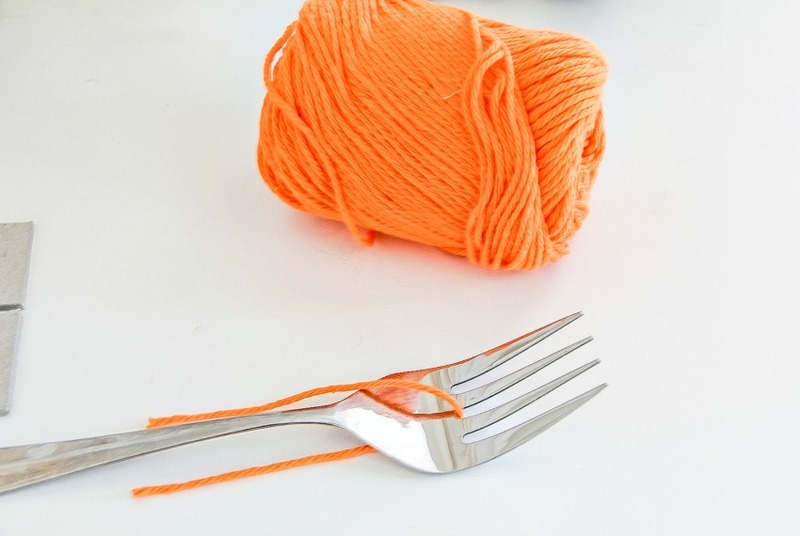 Using the scissors carefully snip the yarn along each side of the fork. 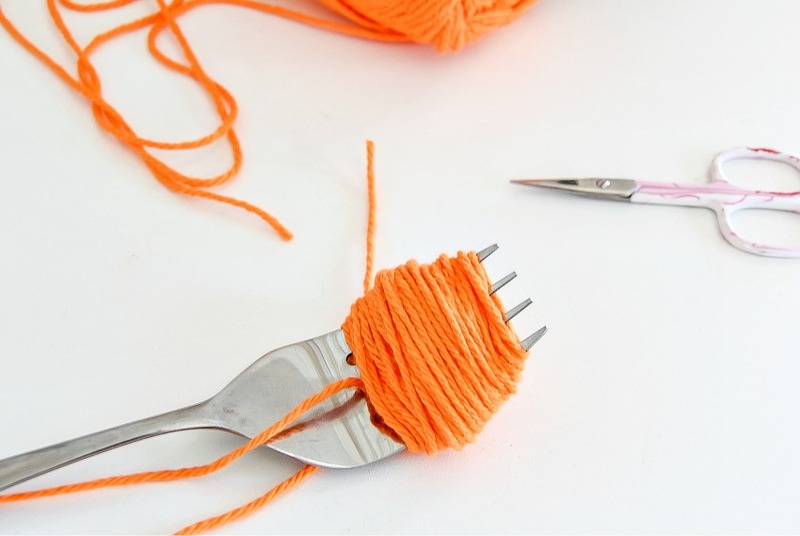 Pull the pom pom off the fork, and wrap the center yarn around again pulling it tighter this time. 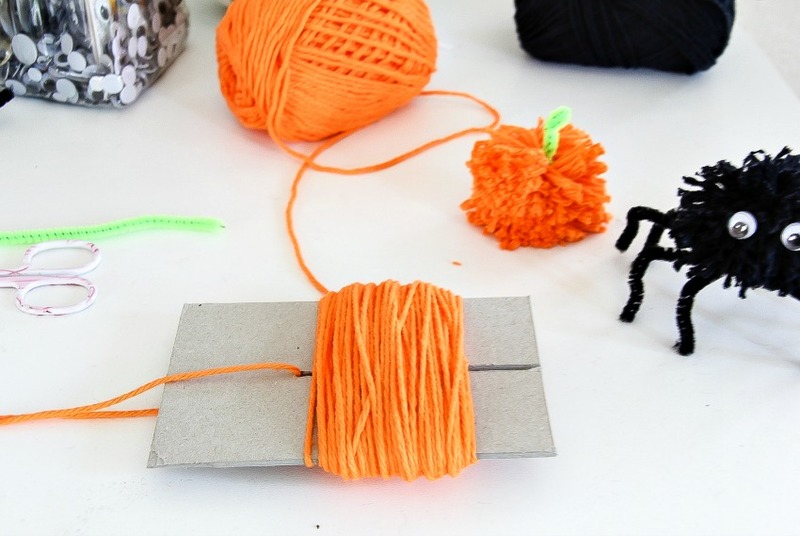 Wrap a green pipe cleaner around the center leaving enough hanging out to make the pumpkin stalk. 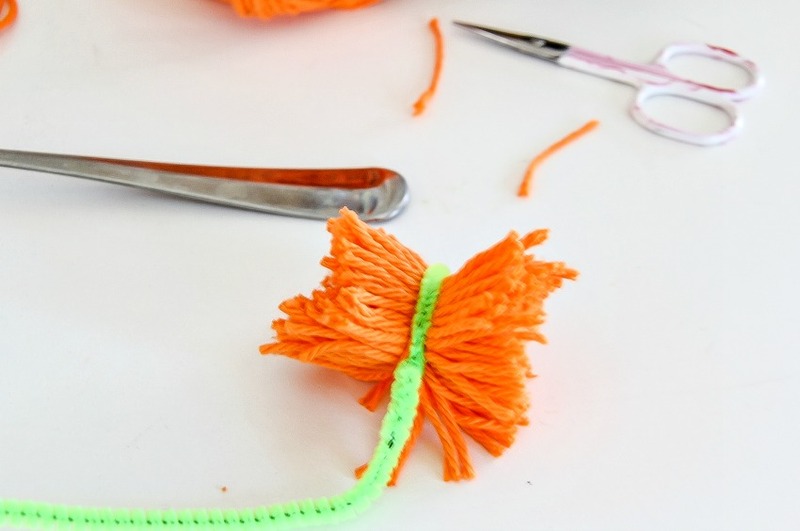 Fluff the edges of the pom pom until it forms a shaggy ball around the pipe cleaner. 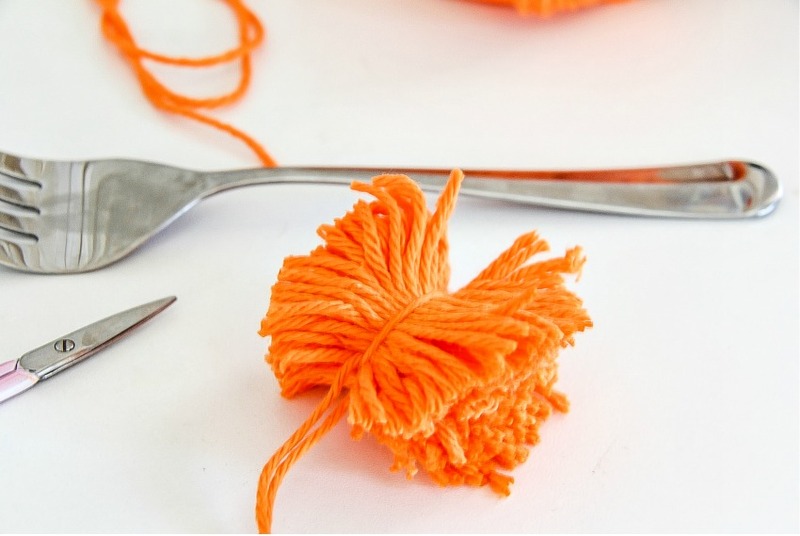 You can trim it a little with scissors to form a perfect ball, but I prefer the shaggy look, plus it makes it easier for little fingers to make. 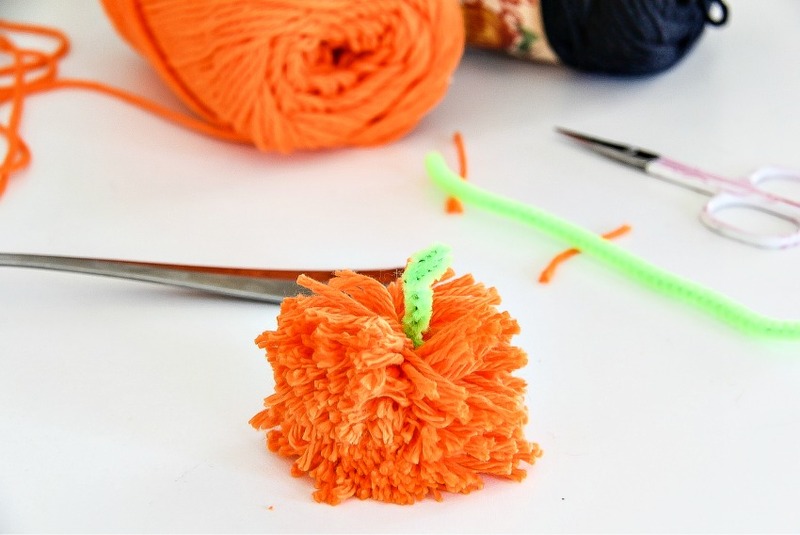 Use the exact same method as for the pumpkin, except don’t wind a pipe cleaner around the center before fluffing the pom pom. 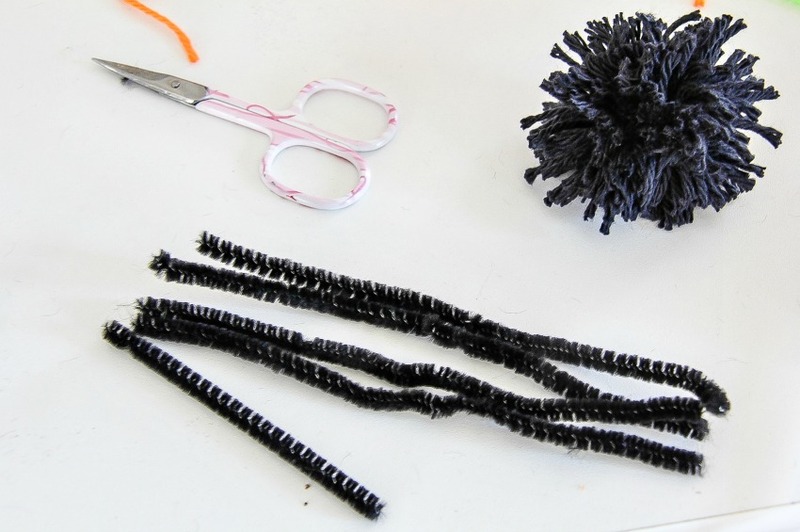 Instead, cut pipe cleaners into 4 even lengths, wind a smaller piece around the center and shape the legs by bending about an inch of each pipe cleaner. Put a large dot of hot glue on the center of the legs and place the pom pom on top. It will take about a minute to dry. And then, attach the eyes using hot glue too. This one uses cardboard and the beauty about these is they can be made any size. 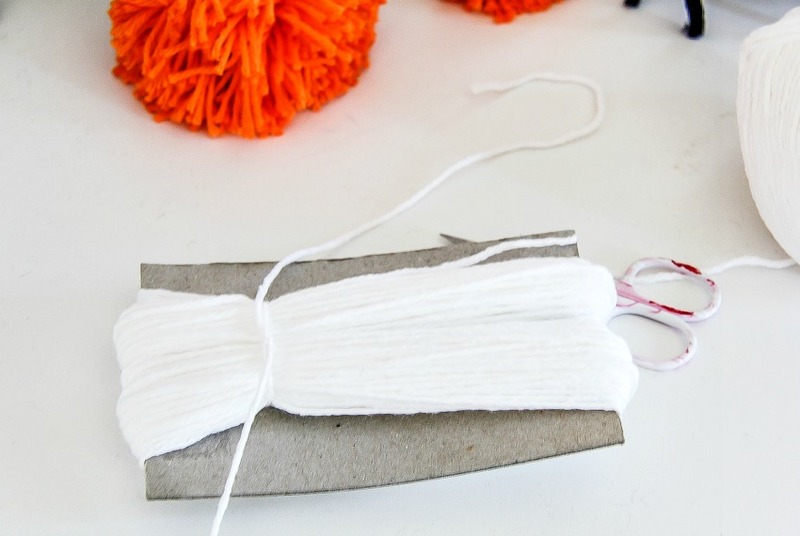 You can make an entire pom pom family including parents and children of different sizes. All you need to do is cut the cardboard to a different sized rectangle for each one. Once you’ve decided on the size of cardboard you need, cut a narrow gap about 2/3rds of the way down the center. Use exactly the same method you did for the fork to form the pom pom on the cardboard. 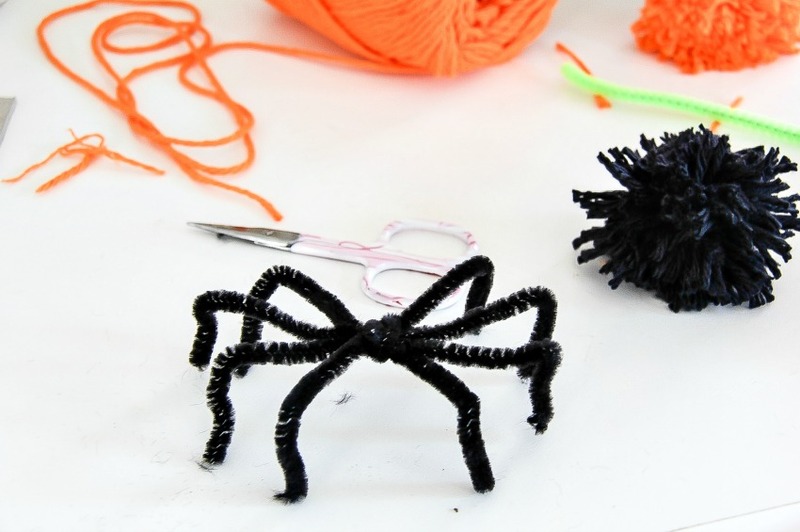 Follow the same method to make the spider, ensuring that the pipe cleaner legs are longer. 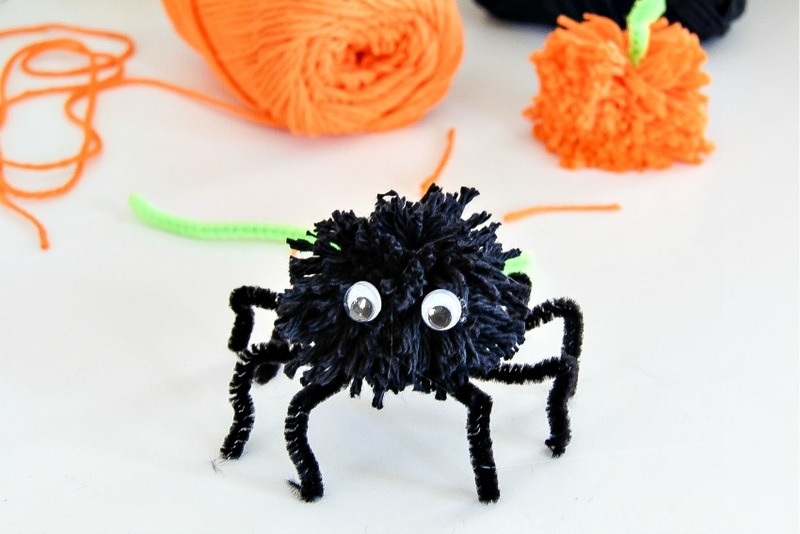 Again, you can make these in different sizes, just use the same cardboard you used to make the spider and pumpkin. As you can see you don’t tie through the center, but closer to one end, and then, cut along the cardboard of the longest section. You can also cut along the smaller section too to form an actual pom pom top, but to make it easier I’ve left that end alone for these. 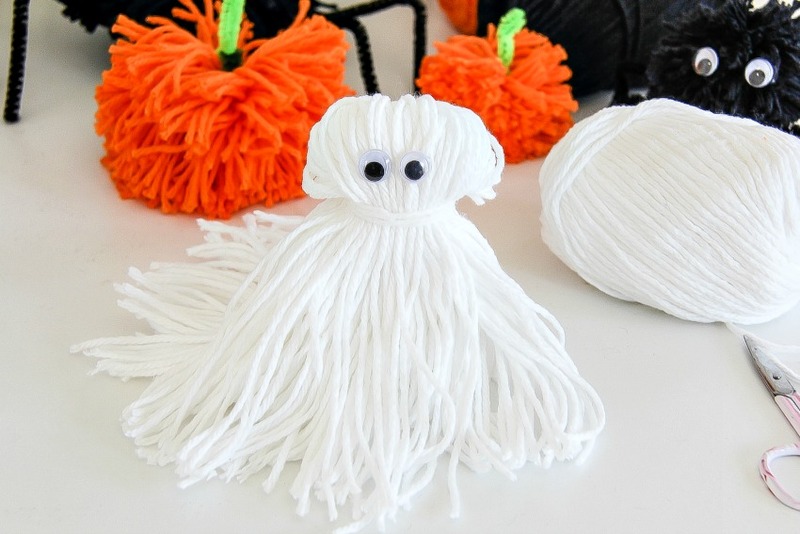 And there you have it, two easy methods for making Halloween pom pom creatures this season. Mini brooms are adorable with candy ..to cute!!! I made some spiders last week! I posted a picture on my blog. so cute! love them, another great thing to make with my nieces. Thanks for the idea! 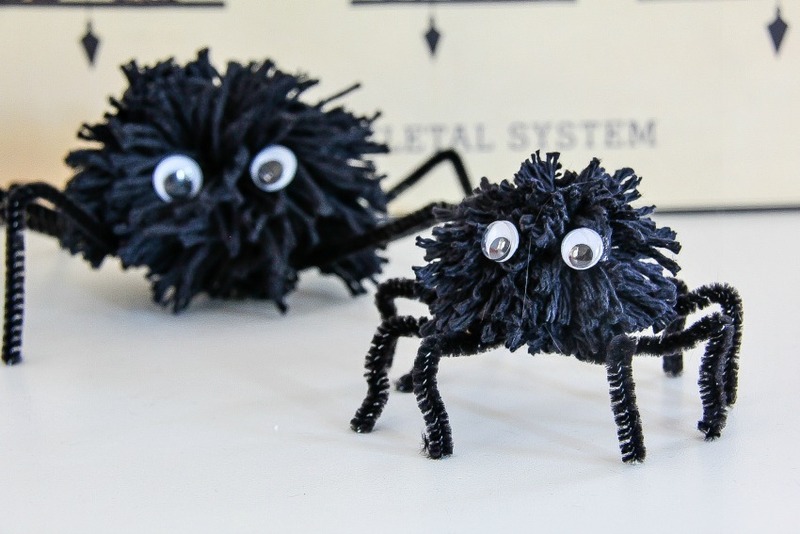 I just love these Halloween Pom Pom Creatures. I going to get the kids making them and get them scattered around the house. (he Pom Pom Creatures I mean). The kids are always scattered round the house! 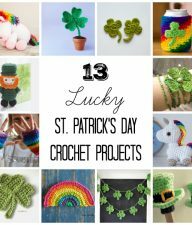 I saw this earlier on my reader before heading to the store and picked up some yarn and fabric! I can’t wait to make them tonight after hunting around for a cool centerpiece branch to hang them from. Thanks! These are darling! I love that they are so simple to make too. This is too cute! I’m sure we will be doing this. 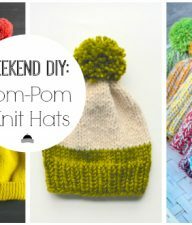 I loved making pompoms as a kid! Marie – this is so cute! Thanks for posting the how-to video. I’m going to use this craft with an after school art class. I was looking for something simple…do you think kindergarten could do it? Or would I be doing it all for them….